NEW LISTING!! Dont miss this impeccably maintained 4 bdrm/2.5 bath residence tucked away on a quiet street in Kalama Valley. With over 1,900 sq. 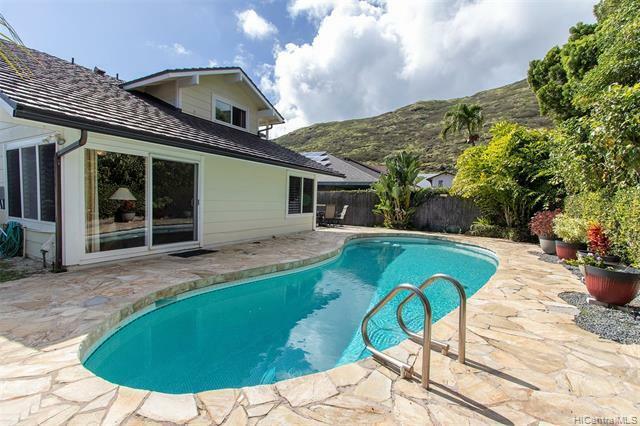 ft. of living space, this home features an in-ground swimming pool, high ceilings, stainless steel appliances and large master suite with walk-in closet and its own separate lanai. The pool deck makes this home ideal for indoor/outdoor island style living. Conveniently located near shopping, schools, parks, and entertainment.